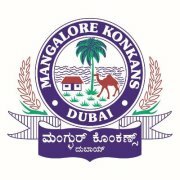 In keeping with their objectives of being of assistance to their less fortunate brethren the Mangalore Konkans Dubai have once again risen to the occasion and have donated INR 5 Lakhs to Ave Maria Centre for Palliative Care, Mangala Nagara, Vamanjoor which is the sole initiate of Dr. Lavina Noronha. At an informal meeting in Mangalore where Mangalore Konkans was represented by their founder members Ronald and Aboline D’Cunha and Jocelyn Mascarenhas the cheque was handed over to Dr. Noronha. 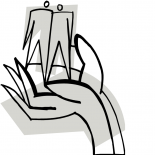 An article appeared on daijiworld.com Exclusive : Dr Lovina Noronha – Soothing Ruffled Lives at Twilight Days highlights the wonderful works done at the centre. It is a 15 bed unit which provides holistic comfort (physical, psychological, social and spiritual guidance) to the patient and their families who have not much hope of surviving due to terminal illness such as cancer, aids or dementia. This entry was posted on September 6, 2008 by Ave Maria Palliative Care in Media Coverage, Sponsorship and Support.